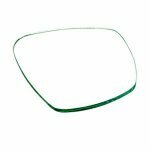 The corrective lens that fit into the optical lens support 2. Each lens is packaged separately to offer you the chance to create the perfect prescription. There are seven different prescriptions ranging from -1 to -4 including halves. Just as eyeglasses are the easiest and safest way to correct vision topside, corrective lenses are the simplest and most cost-effective choice for correcting it underwater. Tired of not being able to see well underwater? Can't read your computer or gauges? Maybe you not sure what F-Stop you are setting your camera on? If these are problems for you when diving you need to get a set of Diopter lenses for your Full-Face-Mask (FFM). 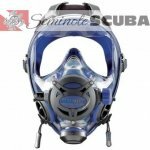 You have an Ocean Reef Full Face Mask and want to add a vision correction device, so you can see better when underwater. 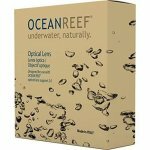 The Ocean Reef Aria Optical lenses with the Optical Lens Support Kit, can provide this for you. 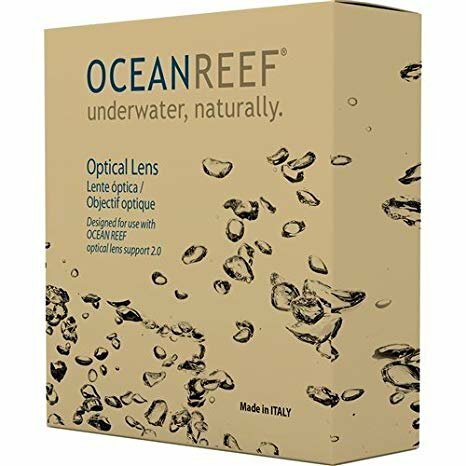 Lenses are available in Diopters from -1.0 to -4.0 in -0.5 increments and with the Optical Lens Support Kit will fit all Ocean Reef Full Face Masks including: Aria Snorkeling Mask, Ocean Reef Neptune II Full Face Mask, Ocean Reef Neptune Space G Full Face Mask. 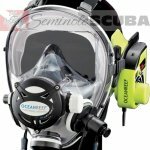 Make seeing underwater better and increase your diving safety.